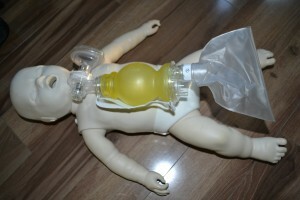 CPR training is a common healthcare course available through the country. Mostly people who are healthcare providers take CPR training programs but with awareness on health and importance of maintaining it increasing, more and more laypeople are signing up for our CPR courses. Honolulu CPR is one of our six training locations in the country with a large selection of courses available all through the week. You won’t have any difficulty finding a program that suits all of your needs. If you need certification for a CPR course, you’ll get one from any of our programs. All of our courses are certification programs; as long as you have complete attendance and pass the exam (given at the end of training), we will award you with a CPR training credential. The credential is only valid for two years before it has to be renewed. We offer certification renewal through re-certification classes. You can only sign up for re-certification if your credential has not yet expired, otherwise you will have to retake the training program. The concept for Basic Life Support classes was created by the American Heart Association. These classes teach trainees how to adequately give CPR to victims of cardiac arrest. CPR is an acronym for cardiopulmonary resuscitation, a lifesaving skill consisting of chest compressions, rescue breaths, and defibrillation. These skills try and get the heart to pump blood to the rest of the body during arrest. Advanced Life Support uses the same basic concepts in BLS classes. In an ALS class, students are taught the basics and medical intervention for cardiac arrest. Medical interventions can only be performed by healthcare professionals so ALS programs are only offered to HCPs. HCPs are required to take Basic Life Support for HCPs training classes before applying for an ALS class. Advanced Life Support is a controlled medical intervention done in an organized, clinical area. Studies have shown that simple chest compressions and rescue breaths when done correctly are effective in improving the survival rate of victims (of cardiac arrest), but the use medical interventions in a clinical environment have even greater rates of survival. This is because CPR given in a hospital is organized and controlled, with interventions being given timely and adequately compared to an emergency situation in a non-medical, public place. In an ALS program, we teach students about medication administration, medical devices such as bag valve masks and mechanical ventilators, and diagnostic examinations such as echocardiograms. All of these interventions greatly increase a person’s chances of survival after experiencing cardiac arrest.